Photos of the dragon boat races at the 2011 Steveston Dragon Boat Festival in descending order (afternoon races to morning races). Tried to shoot as many people as I could so hopefully you're one of the many faces I captured. Please feel free to link or download for personal use. View at 3x large to see the faces close up. 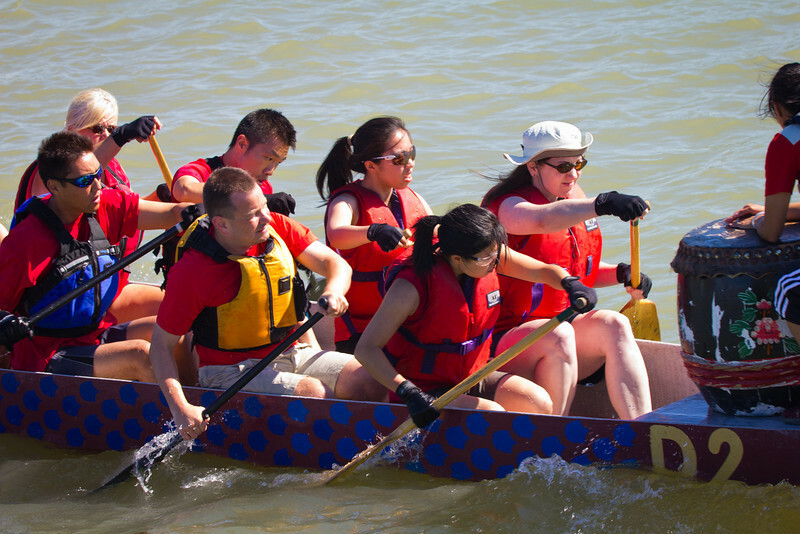 Race 39 / 500m: Team "Twisted Hips" paddles out to the start line for the Division A Consolation race at the 2011 Steveston Dragon Boat Festival.